CHARLOTTE IS THE PLACE TO CELEBRATE DAD! | South Charlotte Newcomers! Charlotte is offering a diversified selection of Father’s Day destinations sure to please all amazing dads! Whether your dad is geek, glamorous, gladiator or gourmet the Queen City has a Father’s Day destination for you! Dads that are king of the kitchen or gladiator of the grill will enjoy a culinary experience where he can practice and learn new culinary skills! Sur la table located in Southpark Mall offers cooking classes geared towards dads and families. On June 20th at 10:00 am sweets are on the table with a hands on presentation. At 2:30pm Dad can learn to Cut Like a Pro with important chef’s tools and basic knife skills. Date night, also on June 20th, starts at 6:30pm and will offer hands-on Sizzling Summer Grilling. 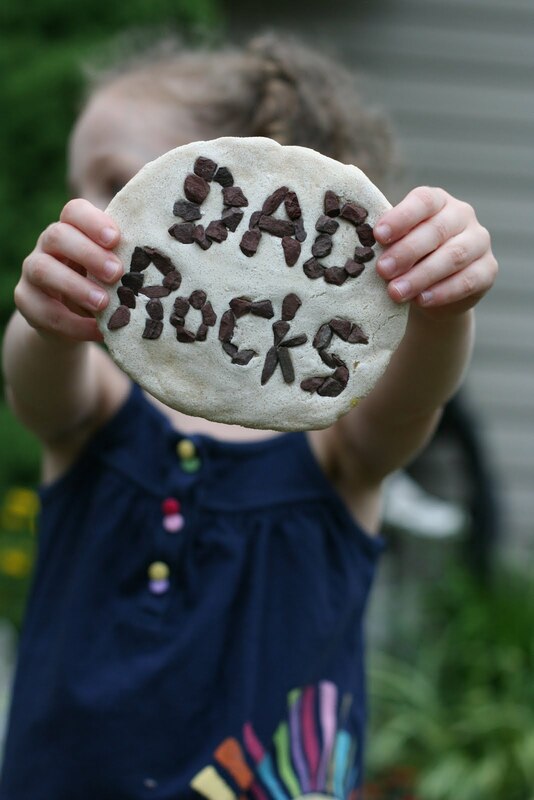 Cooking With Dad offers family fun on June 21st at Sur la table! Ages 5 and older can join in the cooking fun with delicious results featuring quesadillas, grilled sliders and dessert! The Southpark area also offers cooking classes for dad at Upstream in Phillips Place. The June 20th class is 10am-noon, Maki and Beyond- Sushi 102. Uptown culinary fun on June 20th is with a spoon full of sugar! The Cocoa Lab at the Ritz Carlton offers a wonderful, one of a kind experience along side an award- winning chef! From 8am-noon dads can create Summer Fruit Classics including plum tarte tatin, almond peach cobbler and vanilla-scented quinoa salad. The Levine Museum of the New South in Uptown will have a presentation of Conexiones: Exchanges Across Cultures. This exciting exhibition will be an exploration of Latino culture through food, music, dance and art. The first installment will be on June 21st at 2:30pm and will explore the vast array of Latin American food with chefs and home cooks from several regions! The presentation is free. Sports dads have a lot to look forward to in Charlotte over the Father’s Day weekend! The active dad who is still a kid at heart can join in the fun at Adventure Landing Family Fun Entertainment Park in Pineville. Outdoor go carts, bumper boats a mini gold course and arcade are just part of the fun at this kid centric park! Open Sunday-Thursday 10am-10pm and Friday/Saturday 10am-midnight. The U.S. Whitewater Center offers water sports that include kayaking, canoeing, whitewater rafting and paddle boarding. Mountain biking and running trails are open dawn to dusk and for those wanting a bird’s eye view, zip lining and canopy tours. The Richard Petty Driving Experience is perfect for the thrill- seeking dads! Dads can ride shotgun or drive themselves 8 t 50 laps at up to 160mph at Charlotte Motor Speedway. Baseball dads can enjoy the warm summer evenings watching the Charlotte Knights take on the Indianapolis Indians at the BB&T Ballpark in Uptown Charlotte June 19th-21st. The Golf Club at Ballantyne offers a quick respite for busy dads in this beautiful area of South Charlotte. The driving range is open from 7am until 6pm. Golf ball tokens can be purchased in the Golf Pro Shop. Each token offers approximately 35 balls. Regent Park Golf Club, just minutes from Ballantyne in Fort Mill, S.C. offers a 3,000 square foot practice putting green and a 120 tees driving range. Plus, dad can fill up with less expensive gas while he’s there! Carolina Lakes Golf Club is just south of Ballantyne off Hwy 521. They are beautifully situated in the popular Sun City retirement community. A popular, newer course, Carolina lakes has a grass tee driving range and practice area, including a large putting green. Dads who listen to the music and enjoy a good laugh will be able to pull out the air guitar and chuckle in the Queen City over Father’s Day weekend! The Charlotte Symphony will have dads toe tapping to classical film scores on June 21st at Symphony Park. For a more enclosed, air conditioned musical experience, families can take dad to Dirty Dancing at Belk Theater at Blumenthal Performing Center on June 18-21st! Guitar: The Instrument That Rocked The World will be at Discovery Place in Uptown through September. this visually gorgeous presentation traces the guitar from its initial creation through present day.Over 60 amazing guitars are on display and will have collectors and guitarists alike in awe. Kids have many hands-on, interactive guitar displays to keep them entertained while dad is engrossed in music history! Rock n roll will pulse at River Jam at the U.S. Whitewater Center. On June 20th, this free event 7-9pm will feature Dank, described as “rock n roll, punk and country” is for the hard-core-music dad! Dads who enjoy a chuckle can yuck it up at Ovens Auditorium on June 19th. Weird Al Yankovic will have you laughing long after the show! At Ovens Auditorium,8:00pm. If you envision your father enjoying the peace of a brilliant garden, then the beautiful Daniel Stowe Botanical Garden is perfect for him! On June 20th at 1:00pm dad can take an informative stroll through the garden with a professional horticulture staff member. In addition to the amazing flower and plants displays, over 100 sculptures are on exhibition. Gardening dads will also enjoy Pike Nursery’s free presentation on Attracting Butterflies and Hummingbirds on June 20th at 9am. Located in Ballantyne at Torigdon Circle, this nursery offers personal service and a great variety of plants sure to satisfy dad’s green thumb! Everyone has a unique, special dad and Charlotte has the venue for celebrating your fantastic father! Happy Father’s Day Charlotte dads!